In theory, the UK and much of northern Europe should be a pleasant enough temperature come April, but sadly in practice single digit temperatures, rain and even snow are all too common. Luckily enough we’ve got three great destinations that would make for a perfect April cycling holiday with sunny weather and far more besides. Whether you are looking to push the boat out with something long haul or perhaps April sunshine a little closer to home, we’ve got the ideal cycling holiday destination right here. At the heel of the Italian boot, Puglia is a fantastic option for a mid-spring cycling break. Temperatures aren’t too balmy and average around 16 degrees, that’s cycling in t-shirt weather without a doubt. With a mix of historical wonderment such as the archaeological site of Egnazia, once the location of a Greco-Roman town dating back to the 4th century BC, and fragrant scents of wild herbs and mint in the Valle d’Itria, the first half of the trip is stacked with memorable highlights. 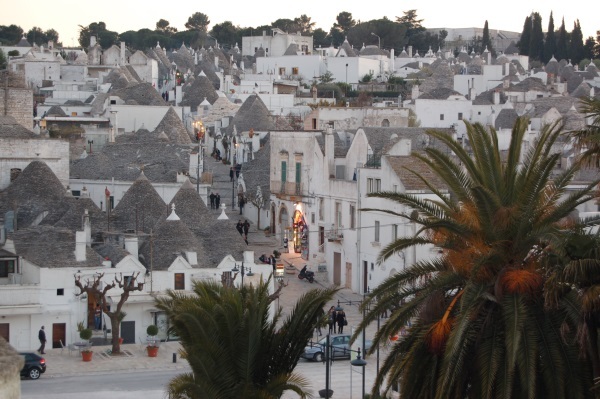 Puglia’s world-famous trullo houses are fascinating to anyone visiting the area, regardless of your affinity to local architecture. Quite rightly, the trullo houses of Puglia are a designated UNESCO World Heritage site and a definite highlight of this trip. on the fourth night of the Contrasts of Puglia Cycling holiday you even get to stay in your own, private trulli house. Meanwhile, visiting southern Catalunya in Spain in spring is a perfect time to avoid too many tourists who tend to flock in the summer, and temperatures can hit 17°C. With a wonderful mix of country, riverside and coastal trails, the Terres de l’Ebre UNESCO Biosphere Reserve has two National Parks and 88 miles of coastline, perfect for exploring by bike. Pedal along the lush wetlands of the Ebro Delta enjoying the peaceful nature reserves with amazing birdlife, whilst the Montsia Mountains provide a spectacular backdrop. For a taste of the region’s historical past, Tortosa dates back over 2,000 years and is home to an imposing cathedral and castle with stunning 360-degree views over the city. 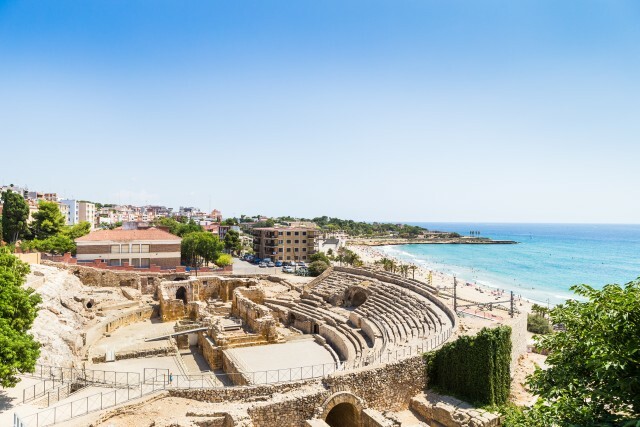 The historical amphitheatre of Tarragona. Our final option for somewhere hot in April is relatively undiscovered. The Iberian country is one of the cheapest in Europe, meaning more money to spend on glorious food and drink, whilst the April weather is sumptuous. The average temperature of 19 degrees Celsius is perfect for cycling and with the sun on your back for seven hours a day it will be lovely and bright as you take in some wonderful views. 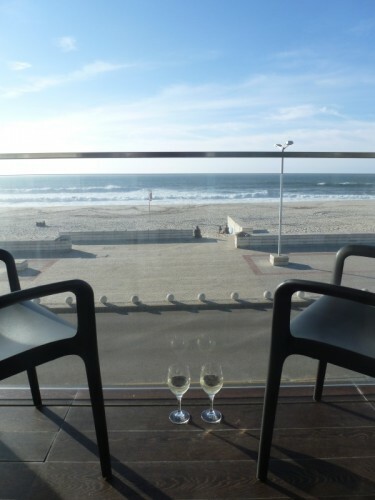 Cycling from Porto to the university town of Coimbra you should start off by sampling some of Portugal’s finest wines and ports whilst enjoying the views over the Douro River. If you can drag yourself away from one of Europe’s most underrated cities you will find the cycling gentle and rewarding, with fields of lemon trees, olives, pears and strawberries, as well as golden beaches, lagoons with abundant birdlife and sleepy, atmospheric towns such as Costa Nova, with its brightly coloured houses and Ovar with its bustling market. So, whilst your friends and colleagues are cycling through the April showers and the British traffic, why not go on a springtime adventure to one of these three sensational, sunny, cycling havens?